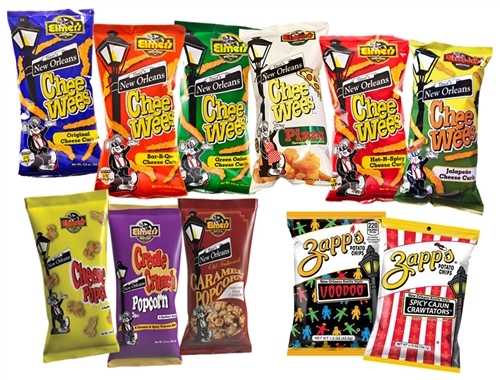 We know you are sure to enjoy this variety of snacks! it includes our large size bag of Elmer's Cheese Popcorn, Elmer's Caramel Popcorn, Elmer's CheeWees and Zapp's Potato Chips! A very unique gift idea for that special someone! Get 25 bags of delicious snacks in this special!